It is probable that even the Tibetan Lamas strapped into contorted meditative postures in remote caves in the Himalayas know that the US is suffering from a “debt crisis” and that the abject fear of the GOP managing to block a raise to the country’s debt ceiling is rife within both the halls of power and in the hearts of Liberals on the street. 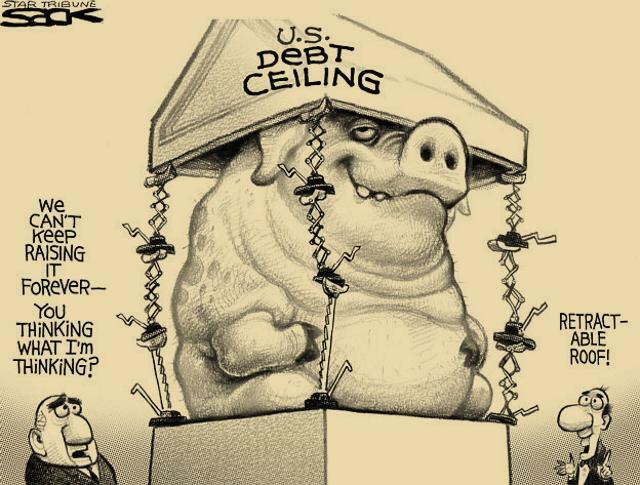 What is much less probable is that the average person really understands what the crisis is about or what the debt ceiling really is and why so many are afraid it won’t be raised in August. It’s really quite simple – so simple, in fact, that many normal people don’t get it. 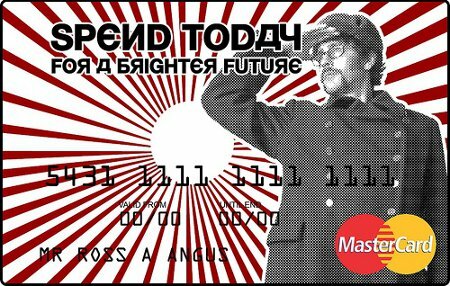 The government of the United States of America has maxed out its credit cards again, just like so many Americans had done before the 2008 market contraction. Unlike the citizenry – or the individual state governments – they can raise their own credit limit, which is what the politicians seek to do. That’s all there really is to it, though politicians and pundits will try to confuse and complicate the matter. The federal government has been living well beyond its means for years, making the “minimum monthly payments” on its debt, and borrowing more and more to maintain itself at the level it has been accustomed to. And the major real fear is that, if they don’t keep raising their own credit limit, America’s credit score might be hurt and we might have to pay higher – sub-prime – interest rates on future loans. Sadly for us, there’s no such thing as credit counseling services for sovereign nations. This entry was posted on Monday, July 11th, 2011 at 11:52 am and is filed under Humor, Politics. You can leave a response, or trackback from your own site.